All businesses are different, this is why you need a business music service that can understand the image you want to project with your brand of business. Music creates an atmosphere and ultimately determines what type of crowd you want to attract. The StoreStreams business music service offers a complete solution for businesses of all sizes that are in need of a background music service for their environment. A country bar in Louisiana will play different music than a biker bar in Sturgis. A Martini Bar in the shadows of Manhattan will play different music than a truck stop casino bar outside of Reno, Nevada. StoreStreams offers a customizable business music service for all of these scenarios as well as yours… even if you change from a daytime burger and beer joint to a late night hipster hangout, StoreStreams has you covered. Of course, StoreStreams plays the hit music of today and yesterday by the artists you know and love. The StoreStreams business music service offers programmed as well as custom radio channels for bars that are fully licensed and 100% legal. StoreStreams is completely scalable for any size bar location no matter if you have one or one thousand locations. Business Music Service for bars plans start at $20.00 a month. The StoreStreams Business Music Service is sold as a standalone subscription as well as a complete solution 70 volt system that includes speakers, amps, internet radio decoders and music. StoreStreams is the turnkey business music service for your business. The Store Streams business music service is a streaming media solution that integrates seamlessly within your bar, restaurant or retail establishment. With StoreStreams your business has access to the best in today’s hit music and a wide ranging music catalog to create the perfect vibe for your bar! 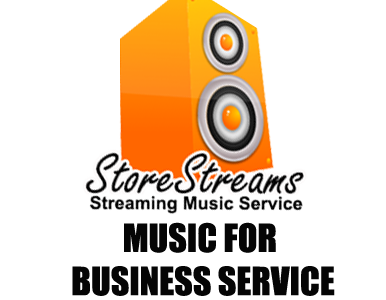 StoreStreams offers affordable business music services that are tailored to your business. The StoreStreams business music service is the best choice for retailers, hotels, banks, bars and restaurants across the United States and Canada. The right background music can make your customers and employees happy. Your business music service should provide the right atmosphere to help boost employee moral and make your customers happy. StoreStreams offers over 25 commercial-free music channels that span over a dozen genres. It’s no wonder that the StoreStreams business music service is the best choice for restaurants, offices, banks, retailers and businesses of all types and sizes. 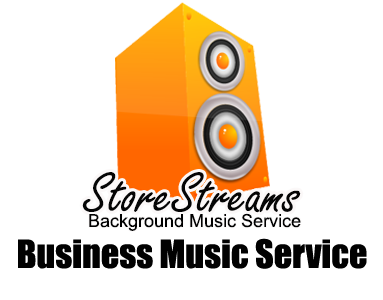 StoreStreams music channels are created by expert sound designers that tailor music playlist to match your business enviroment. StoreStreams works with you to understand your customers demographic, the type of business you have and the type of atomosphere you want to project to your customers. It’s all this that sets StoreStreams apart from other business music services. A broadaband internet connection is required to use the StoreStreams business music service. StoreStreams offers a complete business music systems for restaurants of all sizes that are in need of a background music system for their restaurant or bar. StoreStreams offers complete Restaurant Music Systems that are easy to install and affordable priced. StoreStreams has you covered offering everything from commercial grade Internet radio receivers, power amps and speakers. After all, what makes a restaurant a particular type of restaurant? Well, the food, yes. But second on that list is the Music. After all, Have you ever heard of a Mexican Restaurant playing Opera? An Italian Restaurant with Modern Alternative? A Nouveau Cuisine Restaurant playing country? “NO WAY!” on all fronts… The background music makes or breaks the vibe of the restaurant! The StoreStreams business music service offers preprogrammed as well as custom radio channels for restaurants that are fully licensed and 100% legal. StoreStreams plays the hit music of today and yesterday by the artists you know and love. A StoreStreams solution is completely scalable for any size restaurant location no matter if you have one or one thousand restaurant locations. Even the different parts of the restaurant can have its own music. You can create a fun and lively atmosphere in the bar area to make the wait for tables seem like less of a wait. The dining area may be more relaxed. Business Music System plans start at $20.00 a month. StoreStreams can help you develop a solution that includes everything from the music itself to all the hardware it is played upon! StoreStreams is the turnkey music service for your business. The Store Streams music system is a streaming media solution that integrates seamlessly within your restaurant or bar. StoreStreams offers amps, speakers and internet radio receivers to stream its music service to your business. With the StoreStreams Music Service your business has access to the best in today’s hit music and a wide ranging music catalog to create the perfect vibe for your restaurant!